Mark J. Landau is an Associate Professor of Psychology at the University of Kansas. Mark received his B.A. from Skidmore College, where he became very interested in the fusion of experimental psychology and existential philosophy. 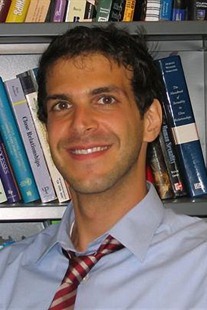 He continued his research and education at the University of Colorado, Colorado Springs, and then the University of Arizona, where he received his Ph.D. in 2007. His research explores how existential motives influence social perceptions and behavior, and how people use conceptual metaphors to construct meaning. He has received a number of awards recognizing his research, including the Theoretical Innovation Prize from the Society for Personality and Social Psychology and the Outstanding Early Career Award from the International Society for Self and Identity. Mark has taught social psychology for over 14 years. He enjoys showing students that research, much like an inspiring novel or movie, affirms our common humanity – reminds us that we are not alone in our strivings, insecurities, and foibles – and thereby sharpens our ethical awareness.